No matter how great your overall Mac experience is, you can always improve it, and finding the best keyboard that suits your needs perfectly is an excellent way to start. When you find and buy such a keyboard, you’ll certainly wonder why you didn’t get it before. Same as many other Mac accessories, a good keyboard can really make a difference – you won’t be frustrated when typing, and you will increase your productivity. In this article, we are going to talk about the top best Mac keyboards, so keep on reading because you may find the one perfect for your needs. What to consider when choosing a keyboard? Browsing through the sheer number of best Mac keyboards available online may change the common notion that Apple doesn’t support third-party accessories. 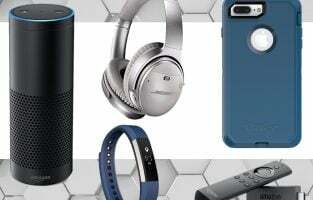 While the manufacturer is capable of making the most premium peripherals such as the newly launched Magic Keyboard, Air Pods and the unique Apple mouse, there are so many third party manufacturers ready to aid your usage scenario. 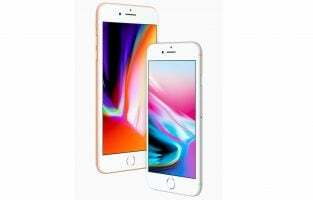 Apple follows a specific design pattern whereas you can get a similar, completely new experience from a Logitech keyboard or a cheaper alternative with additional features. The best part is that they make it pure white with a matte finish so that it easily syncs with the design aesthetics of your Mac setup at home or at the office. Before we list some of the best Mac keyboards, let’s see the things you should consider. If you are spending hours working on your computer every day, your hands should be in a natural position when you are typing, which means you need to choose a keyboard with such a design. 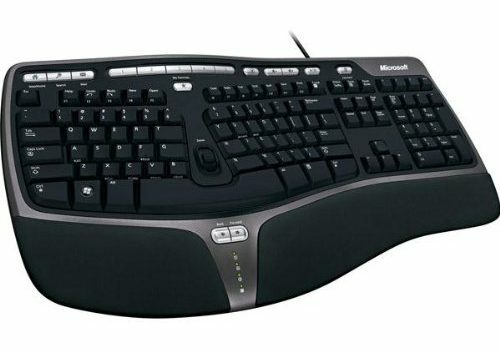 There are many great keyboards that come with the adjustable tilt and height and with such keyboard, you won’t feel any pain in joints after hours of work and you will feel comfortable when typing. There are many laptop-style keyboards for Mac, and all of them look wonderful. However, many people simply don’t like these type of keyboards as it may feel strange when typing. If you are one of those people, the keyboard with the raised keys a much better option. You will have to decide if you want a keyboard with or without a cable. 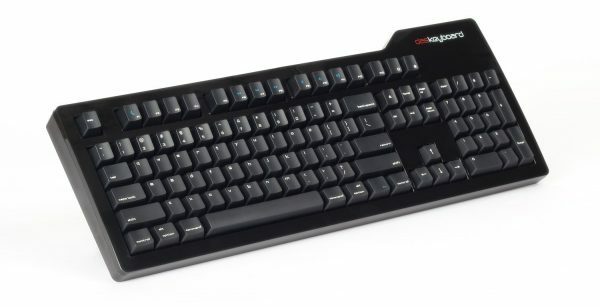 Wired keyboard is a much better option for gaming because with such a keyboard you will avoid lag issues that may occur sometimes. If you don’t like cables, wireless keyboard for which you need the USB port on your computer is the perfect option for you but don’t forget that you will need the batteries. Also, wireless keyboards are usually more expensive. Many keyboards today come with additional function buttons and media features buttons such as page up and down, volume up and down, browser button, mute button, just to name a few. If you don’t like such options, don’t worry, there are many awesome keyboards with just the standard QWERTY keys. After having spent thousands of dollars for your Apple Mac setup, you may probably want to save some money on your replacement keyboard. Although your mileage may vary, this is the cheapest full-size keyboard you can find for your Mac. The white design seamlessly syncs with your Macintosh and the full sized design allows you to get more things done, especially with the numeric pads being ideal for people in accounting. The designers have implemented 15 Apple-specific shortcut keys to easily access all repeatedly used functions such as cut, copy and paste. There are also dedicated buttons to pause, play, increase or decrease volume in your iTunes. It is a wired keyboard and the low-profile key doesn’t produce any noise when you type.. For people who are largely addicted to Bluetooth, this may sound a bit off. However, if you are not interested in replacing batteries and like to keep it plugged in, this feature becomes useful. Why should you buy this keyboard? The full-sized keyboard includes a numeric keypad, making it easy for people into accounting to get things done faster. It is USB wired version which ensures that you don’t have to worry about replacing batteries again. If you don’t want anything but Apple, this ultra-thin keyboard is a perfect choice. It has a beautiful and stylish design, built-in USB ports, and low profile keys. To can access many different Mac features such as eject, volume, screen brightness, fast-forward, rewind, just to name a few. For many users, this is unquestionably one of the best Mac keyboards. While there are so many amazing choices available, the Apple-designed Magic Keyboard for Mac is without a doubt the best product you could buy. 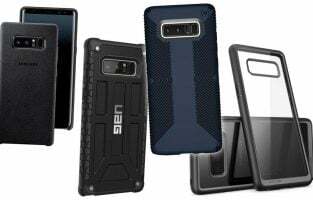 The third party manufacturers do offer a similar white design with a compact footprint and some additional features like Solar charging that may not be available in the original version. It continues to stand out as the best made possible keyboard with Apple’s robust build quality. The keyboard uses a scissor mechanism behind each key providing it more stability and posture when you type continuously. The key travel is very less that keeps it silent at all times and provides a precise typing experience with no wrist or finger fatigue. The built-in rechargeable battery lasts at least for a month before it needs to be recharged. This is a full-sized keyboard from Apple providing you the numeric keypad that is integral for accounting work. The Magic keyboard is made by none other than Apple that provides you brand assurance and design aesthetics. The battery life is excellent and, it being a full-sized keyboard sweetens the deal. Many users prefer wireless keyboards, and if you are one of them this beautiful, slim keyboard may be exactly what you have been looking for. It deserves to be on the list of the best Mac keyboards for several reasons. It is a lightweight keyboard, intuitive and very comfortable for typing. If you are not using the keyboard for half an hour, it will go into the power saving mode automatically. It is not only the perfect keyboard for your Mac, it is also compatible with iOS devices, Android, and Windows. Its price starts from $25. Anker has meticulously designed this Bluetooth keyboard and they have come out with flying colors in making it ultra compact and slim. The Bluetooth keyboard doesn’t have a numeric keyboard and is so small that it occupies only two third of the space occupied by a traditional keyboard. Powered by a large 800mAh battery, it can run for nearly six months even if you use it for two hours non-stop daily. 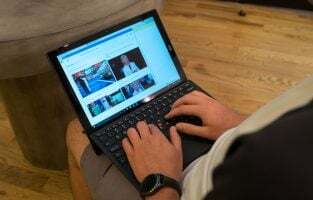 Using a keyboard without a break is very difficult which confirms that it should easily last months and the Bluetooth is designed to automatically connect with the last device it was paired with. The Anker compact keyboard is also compatible with a range of Bluetooth devices including Mac, PC, Windows, iOS and Android. You can use it easily with your iPhone, Mac or an Android phone. Anker has also ensured that it is easy to type on this device with low-profile matte keys with the frame being sturdy in order to last long. Have you ever heard of a mechanical keyboard for the Apple Mac? 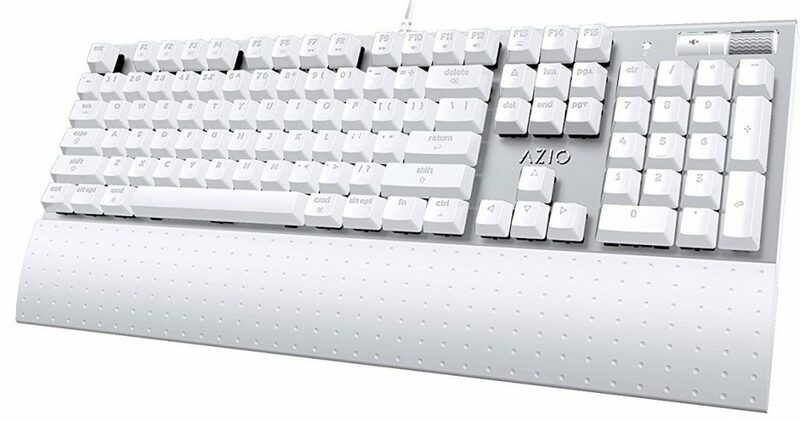 If you haven’t, this Azio MK-Mac keyboard should put you on track. Mechanical key switches are popular among gamers and typists in the world of Windows computers. For Mac, it is a concept unheard of. But for the enthusiasts out there who want the best of OS X and input choices, Azio has an option. They have managed to retain the pure white color and used white backlights for the keyboard bringing it on par with any Mac-friendly keyboard out there. While the product featured here is the USB wired model, you can also find the MK Mac BT with a Bluetooth setup for a slightly higher price. The keyboard features tactile brown k-switches which are non-clicky and doesn’t make too much noise. The MK-Mac Wired USB keyboard is exclusively designed for Mac with all Apple specific button layout including hotkeys for easy access. 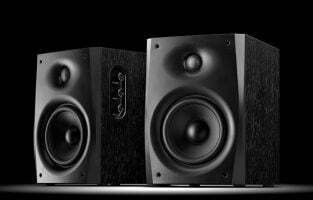 It also has a dedicated volume control wheel which should make analog lovers happy as you can increase or reduce volume on your iTunes music playback at will. Mechanical switches for Mac is a unique feature that sets this keyboard apart from the competition. Azio has also maintained the Mac key layout and provides a physical volume control button enhancing the analog experience. 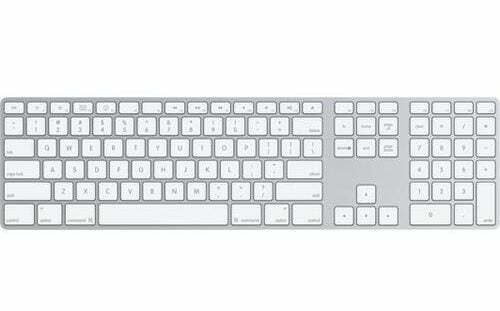 Logitech Bluetooth Easy-Switch Keyboard with Bluetooth technology is specially designed for Mac. It has bright backlit keys for typing in a dark room. battery life is excellent. It is slim, compact and it has a beautiful, modern design. It can be used for iPad and iPhone as well. It provides enjoyable typing experience. 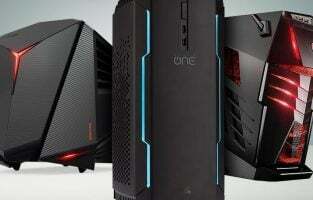 Logitech is primarily a peripherals manufacturer for Windows PCs but they are not giving up on the world of Mac and Apple devices. 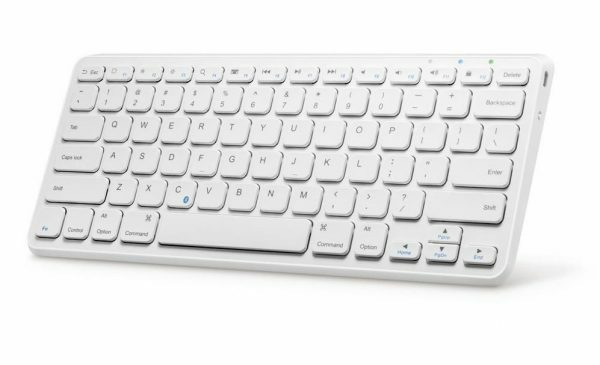 The Logitech Easy-Switch K811 is the best Mac keyboard you will ever need if you have already invested heavily into Apple’s ecosystem of devices. The Easy-Switch name comes from an actual switch found on this keyboard which allows you to seamlessly change between your Mac, iPad or iPhone to keep typing without interruptions. The Bluetooth keyboard provides a solid range of up to 30 feet which allows you to keep it connected to multiple devices in the vicinity. The keys are all backlit, facilitating you to type in the dark and it also includes a rechargeable battery. The USB cable can be used to recharge it which should theoretically last at least a month of daily usage. 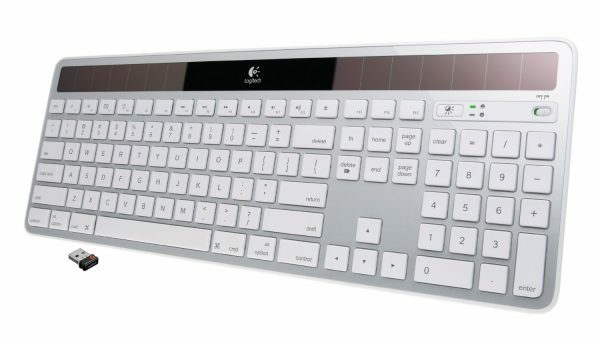 Logitech has designed a unique keycap for the K811 which enables it to be whisper-quiet when typing and it also sports a Mac layout to let Apple fans use it seamlessly on familiar grounds. Logitech’s unique and useful easy switch technology allows you to change the connection between a Mac, iPhone or iPad easily. A must-have for people with multiple Apple devices. Quite keys that are comfortable yet don’t make any noise during long typing sessions. This model has a cutting-edge design, and some of the key features are intuitive Zoom Slider, customizable hotkeys, and improved number pad. Typing on it is a pure pleasure, so if you want a keyboard from Microsoft, feel free to go for this one. 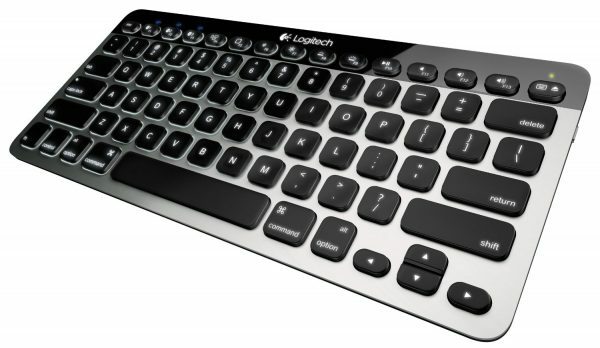 If you like wireless keyboards, you will love this keyboard! Rely on the light instead of the batteries, because any light source will keep this keyboard charged. 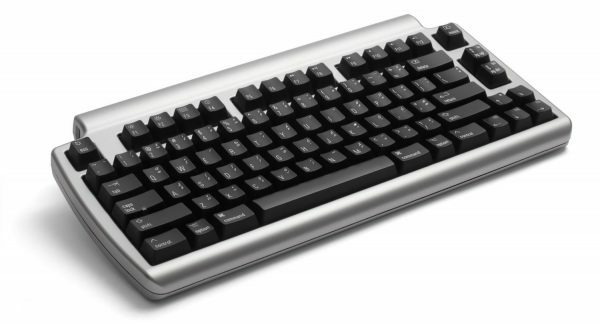 It delivers an enjoyable typing experience – you will type quieter, and faster. It has ultra-thin design and it comes with a familiar Mac layout. It comes with ultra-sensitive tactile response meaning to type much faster with ease. Das keyboard has two-port USB 2.0 hub – you can connect USB compatible devices or charge your iPhone. There are Mac function keys included: play/pause, next and previous track, volume up and down, mute, brightness up and down, sleep etc. This keyboard could be the right one for you since it is an inexpensive substitute for Apple keyboards. It comes with Mac OS X features and shortcut keys and LED indicator for power, Num lock and caps lock. Macally keyboard delivers outstanding typing experience thanks to the low-profile responsive keys. The price of this keyboard is under $15. It is compact and easy to pack with great 1,600 mAh battery. The Mac-friendly function keys allow you to control the volume, brightness, and more. 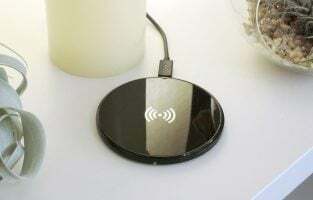 It connects to Android, iPad, PCs and other Bluetooth devices. It also has a great design. These are some of the top best Mac keyboards you can get. When choosing a keyboard, don’t forget to consider the things we have mentioned at the beginning, such as ergonomics, type of keys, features, and so on. We have listed different types of keyboards here so that every person can find a perfect fit!